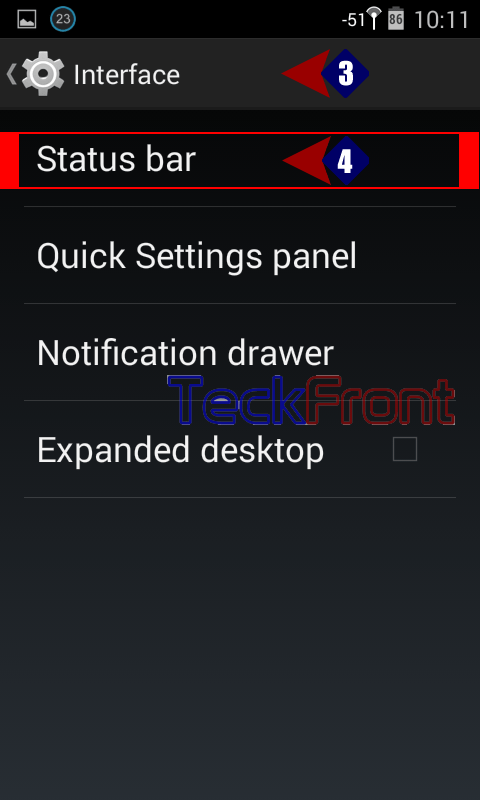 How to Show Battery Status Style in Text in Android KitKat 4.4 Phone? Battery, being the life line of any smartphone, is the part of smartphone, about which one must care a lot. Without the good battery life, you cannot rely the smartphone. The present day battery status, normally, found in the smartphones, is iconic one which might look good but cannot give you the exact status of battery’s remaining life. If this status is changed to text, i.e. in percentage form, you can easily estimate the time when it would be ended. 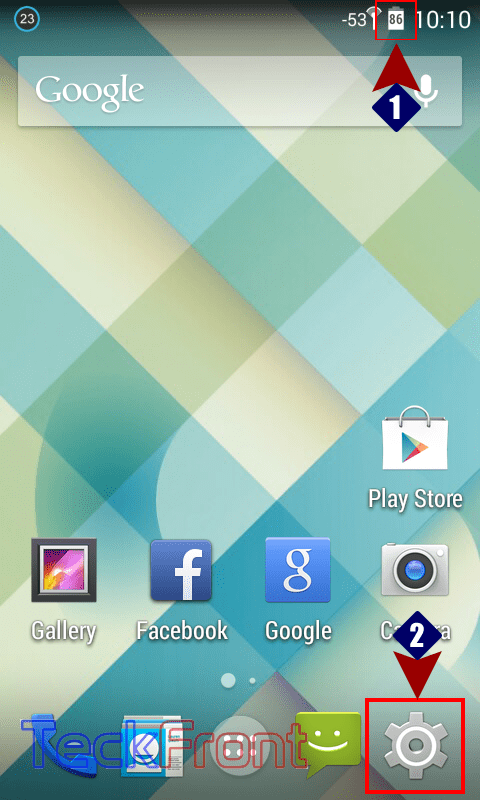 1: See the Battery Status is iconic one at the Home screen. 2: Tap the ‘Settings’ to open up. 3: Tap the ‘Interface’ under the PERSONALIZATION. 4: Tap the ‘Status Bar’. 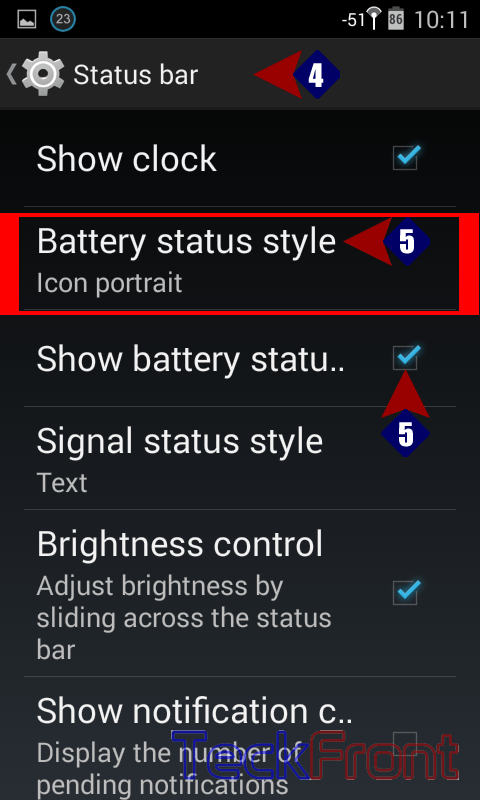 5: See the Battery Status Style is ‘Icon Portrait’ and ‘Show battery status’ is also checked, i.e. enabled. Tap ‘Battery status style’. It will open up a popup menu, depicting 5 options buttons. 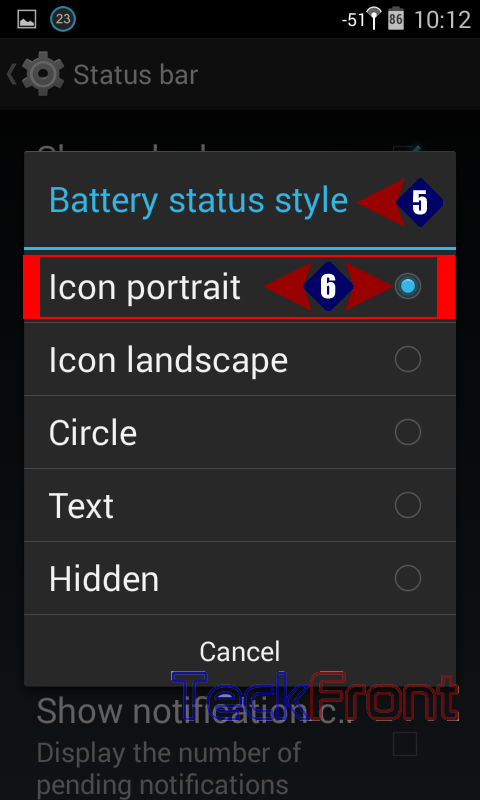 6: See the ‘Icon portrait’ is checked in the popup menu. 7: Tap the radio button against the ‘Text’ to enable text battery status style. See that immediately after checking ‘Text’, the battery status in the Status Bar is also changed to the text with percentage form. 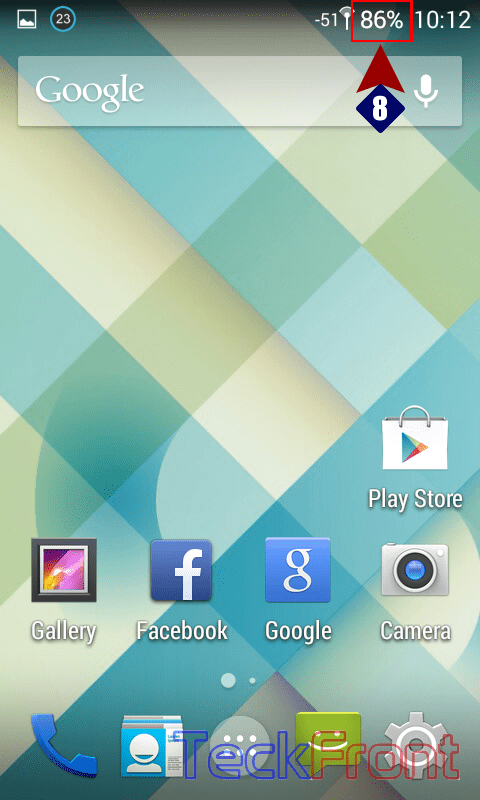 8: See the same change is there in the Status Bar at the Home screen as well. That’s all! Newer How to Change Signal Status Style to Text in Android KitKat 4.4 Phone? 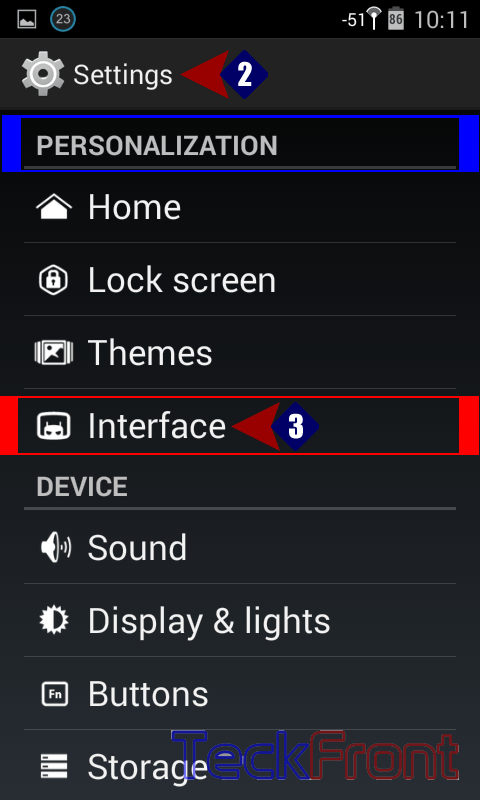 Older How to Show Clock on Status Bar of Android KitKat 4.4 Phone, Quickly?